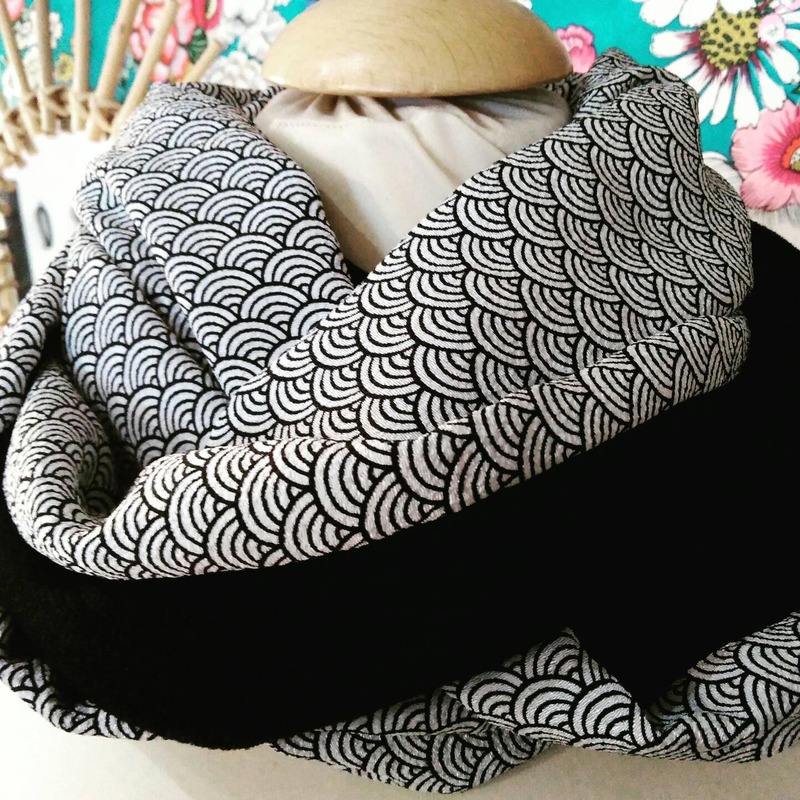 This beautiful black and white snood is graphic and chic with black and white patterns. Wool face will keep you warm for the winter. On the other side, a silky chirimen, traditional Japanese fabric. Infinite scarf for two rounds. Wool and cotton knit / Chirimen Japanese crepe. Often called a snood, circular scarf or infinity scarf, it is circular in form, no beginning and no end - the joy of this form of scarf is that it will stay put all day long. 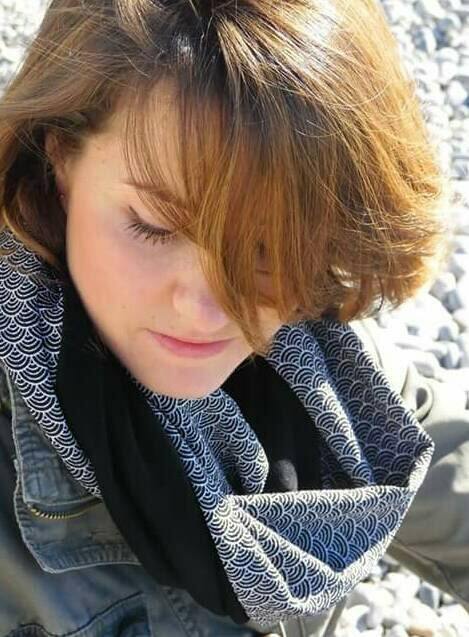 All of my Infinity Scarves are lined, composed of two contrasting fabrics. I enjoy mixing and matching my fabrics, colour being important, but also the touch, most of my fabrics are French, Japanese or Italian, soft in the hand and of lovely quality.